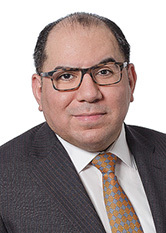 David Lopez focuses his practice primarily on bankruptcy, real estate, tax lien and mortgage foreclosures, trust & estates, and commercial litigation. He represents clients in commercial disputes involving breach of contract, fraud and fraudulent inducement, and breach of fiduciary duty. David also represents clients in complex litigation regarding the development, transfer and sale of commercial and residential real estate. Prior to joining the firm, David’s practice focused primarily on commercial and real estate litigation and trust & estate planning and litigation. Represented national retail companies in complex commercial real estate matters, including leasing, regulatory issues, acquisitions, dispositions and development. Represented real estate developers and owners in all aspects of litigation regarding the development of residential and commercial real estate in the State of New York. Represented the Executor in a contested proceeding commenced by estate beneficiary wherein petitioner sought a decree revoking letters testamentary for the Executor’s alleged conversion of real estate assets worth in excess of $60 Million. Represented the Executor in a contested estate wherein estate beneficiaries sought controlling interests in privately held real estate companies valued in excess of $600 Million. Represented the Executor in a contested estate wherein estate beneficiary challenged the Testator’s mental capacity to execute his Last Will & Testament. Represented the Executor in SCPA § 1420 Construction Proceedings. Petitioners were advised that Executor would invoke the provisions of the in terrorem clause to disqualify petitioners from receiving their legacies under the Will should they challenge the validity of certain provisions in the Will. The contested issue presented to the Surrogate’s Court was whether petitioners had compelling and actionable grounds to challenge the validity of a management agreement executed three weeks prior to the decedent’s death without invoking the in terrorem clause. Represented the Nominated Executor in SCPA § 1404 Examination wherein estate beneficiaries challenged the Testator’s mental capacity to execute his Last Will & Testament. Represented Estate Beneficiary in SCPA § 1401 Proceeding to Compel the Production of the Decedent’s Last Will & Testament. Represented Co-Administrator in a contested estate wherein estate beneficiary sought to remove co-administrator for breach of fiduciary duty and mismanagement of estate assets. Represented estate beneficiary in contested matter to quiet title of real property located in the State of Florida. Counseled clients and drafted Family Limited Partnership Agreements, including Operating Agreements and Partnership Agreements. Counsel clients and drafted Business Succession Planning Strategies for high net worth individuals, including real estate developers, doctors and entrepreneurs. Counseled fiduciaries in the administration of an estate valued in excess of $200 Million in the New York County Surrogate’s Court. Counseled fiduciary in the administration of an estate valued in excess of $400 Million in the New York County Surrogate’s Court. Advised accountants in the preparation and filing of Judicial and Non Judicial Accountings. Advised accountants in the preparation and filing of New York State Estate and Federal Estate Tax Returns.